IDW Publishing and Yoe Books are proud to announce The Untold History of Black Comic Books, brought to you by Professor William H. Foster III, a leading authority on the history of Black cartoonists and comics, and fellow comic book historian Craig Yoe. This groundbreaking collection in both scope and detail, traces the changing image of African-Americans in comic books from the 1940s right up to the present day. Perfect for fans and comic scholars alike, it includes nearly 200 pages of rarely seen comic book stories never reprinted before. There has never been a book with this incredible and fascinating cultural scope and is truly not to be missed. This book is the culmination of years of research by Professor Foster. 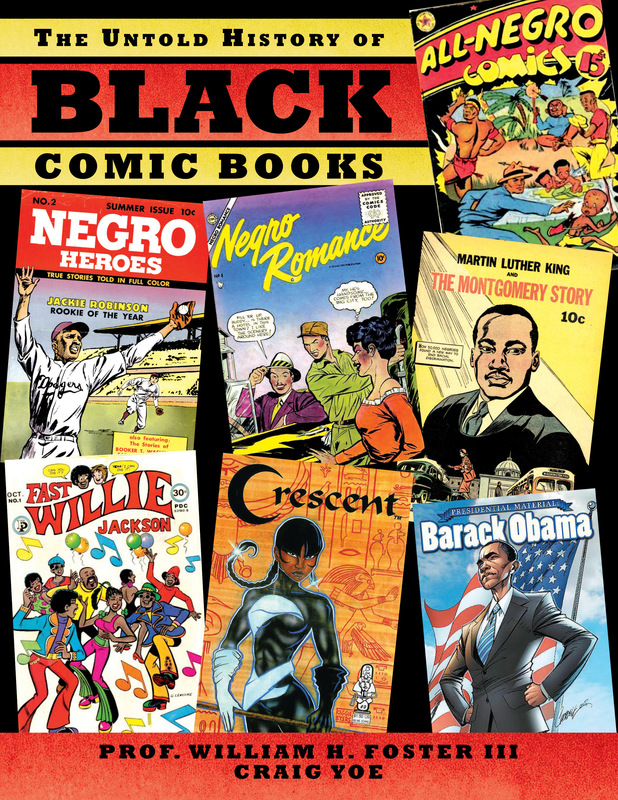 The Untold History of Black Comic Books is a 9” x 12” full-color hardcover slated for release February 2015 ($39.99 – DEC140581 – ISBN: 978-1-63140-290-6).